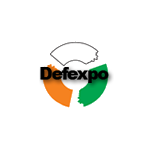 Defexpo 2012 is providing the international corporations an opportunity to take a look into the Indian defense industry – a bazar of government operated, publicly traded or privately owned companies awaiting their big opportunities to get a piece of the billions the Indian government intends to spend over the next decade. All the big names are nere, along with many medium and small companies from abroad. They are here seeking partners, source new suppliers, and find facilities and personnel to carry out local support, there were many private sector companies to choose from. Part of the blame is in the Indian ‘obsession’ for ‘indigenous’ development and production regardless of its technological maturity, and lack of local manufacturing infrastructure, training and work discipline, matching modern weapon systems technologies. Like many third world societies, based on low-cost labor, Indian industry was slow to adapt automation, robotics and lean manufacturing, processes considered a must for modern aerospace and defense production. This drawback has also limited India’s industry mastering new processes, providing the precision and processing of advanced materials, based on highly accurate, repetitive or progressive automatic processes, in addition to developing and maintaining expert human skills. 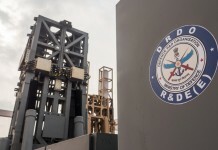 With limited access to international market, and reliance on internal development of skills and capabilities, Defense Public Sector Undertaking (DPSU) companies were slow to adapt to the new world. Being government owned organizations, these large and strong organizations pose a difficult partner for international companies trying to enter the Indian market. With Indian regulations limiting foreign ownership below 25% of such Joint Venture (JV) enterprises, foreign companies required to transfer technology to those organizations fear such technology could get ‘out of control’ in such large and diversified organization. 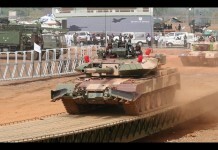 The opening of India’s defense market for the private sector is bound to change that. 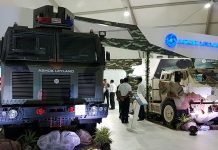 Until now, the private sector companies being involved in defense production were mostly in the automotive sector – vehicle manufacturers Ashok Leyland and Mahindra, Tata Advanced Systems Ltd, Larsen and Turbo (L&T) being the most established brands. Yet the private sector has a minor share of the local defense market. With about 70 percent of Indian defense procurement coming from abroad, of the remaining volume estimated at $700 million annual domestic procurement, only about $100 million is sourced directly and indirectly (subcontracting to DPSU) to the private sector. India’s private sector is positioned to benefit the most of the offset requirements foreign suppliers are required to spend in India, for every major defense sale they win. As the new contracts currently in the pipeline are signed, small and large Indian companies are preparing for a flood of orders, partly in direct support of the programs bound for India and others, by entering the supply chain of major international defense manufacturers. The small industries understand this opportunity and prepare to rapidly grasp it wholeheartedly. Different companies are using different strategies to attract new business and sustain long-term growth. PSC are taking different approaches to tap this new opportunity. Some are investing in in sophisticated manufacturing infrastructure, certification and qualification by major prime contractors, appreciating the added value provided by the offsets could pave their way to growth. Others focus on developing and retaining their manpower skills, networking and computerized design technologies, to obtain a growing workshare of major programs. Others are licensing technologies, absorb knowhow and develop production capabilities aiming to master specific areas to become major players in the international market. While India has all the rights to be proud of its strategic missile technology, satellite launchers and nuclear sciences, its conventional weapons programs are far from impressive. Tejas Light Combat Aircraft, Akash medium range missile system, Arjun main battle tank or the Dhruv Light Advanced Helicopter are symbols of national pride in India, being considered ‘indigenous military systems’. Unfortunately, these locally developed systems rarely match India’s top military requirements, demanding much higher capabilities they can buy overseas. Lacking the urgency, determination and clear goals set by the government, and absence of user enthusiasm to deploy the systems, development of Indian indigenous systems is often dragged along for decades, as the country’s eight Defense Public Sector Undertaking (DPSU) while the military comfortably acquired the latest arms from Russia. 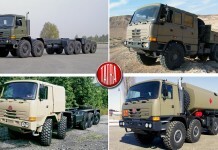 For years, these DPSU were tasks with the development and production of India’s strategic weapons – considered a must for India’s survival against nuclear armed China and Pakistan. In parallel they were also engaged in the development of other weapon systems India could get abroad, but opted to develop at home, as symbols of national pride. These government owned defense manufacturers being responsible for the research, development, production and integration of all types of systems. 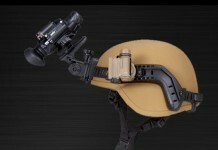 In those years, fed with steady funding for their activities, DPSUs continued their activity without clear commitment to schedule, since the military services have already obtained the weapons they needed on parallel acquisition abroad. 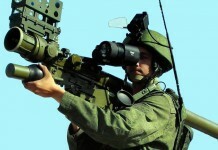 Now, after decades of development, programs are maturing only to become obsolete; those currently being proudly inducted into active service are actually 1980 designs that can hardly match those already fielded by the military, let alone the weapon systems obtained and operated by adversaries across the borders. What’s missing in the Indian defense R&D process? The differences between Indian indigenous systems and those imported from abroad are clear – outdated designs styles derived by absence of advanced materials and modern manufacturing capabilities, resulting in heavier, less performing platforms. Indigenously developed electronic systems are also usually larger, less power efficient and therefore prone to failure. The limited Indian access to modern technology required great investment in basic and applied science, metallurgy, composite materials and electronics. While Indian scientists and engineers are innovating throughout the world, leading great technological achievements elsewhere, indigenous military programs have yet to benefit from these talents.